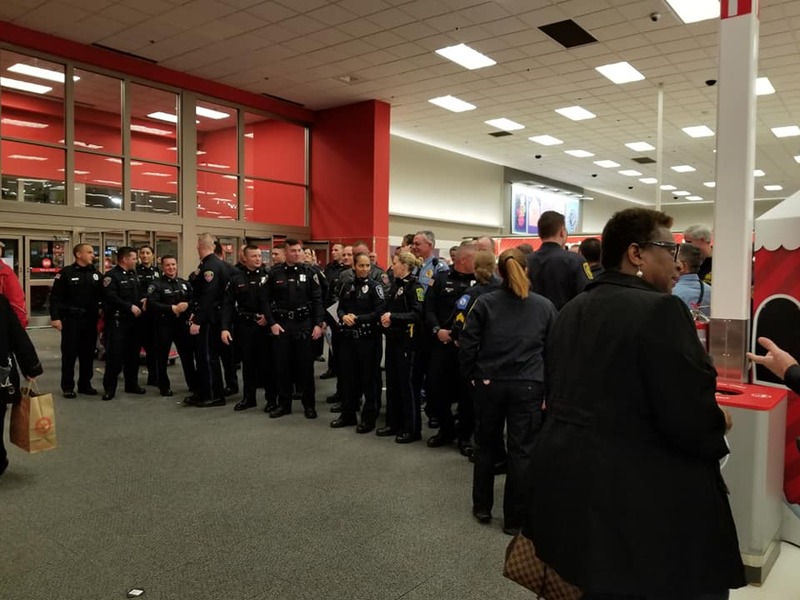 FRAMINGHAM – The 3rd Annual Shop With A Cop was held last night, December 19 at Target in Framingham. 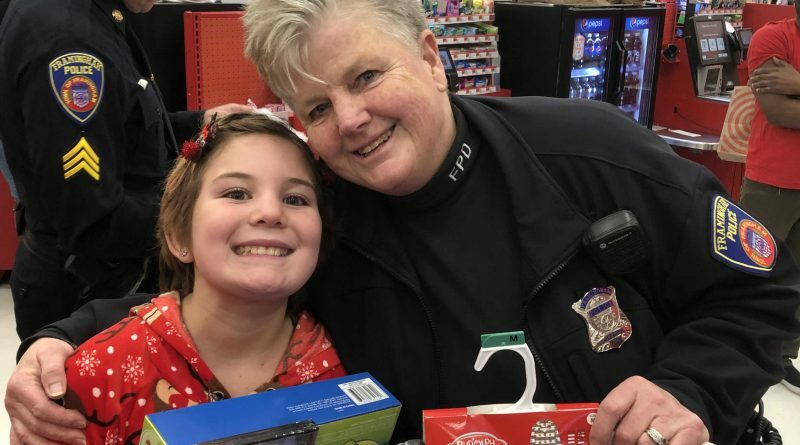 Members of the Framingham Police Department, plus members of several MetroWest police departments were paired with area children. 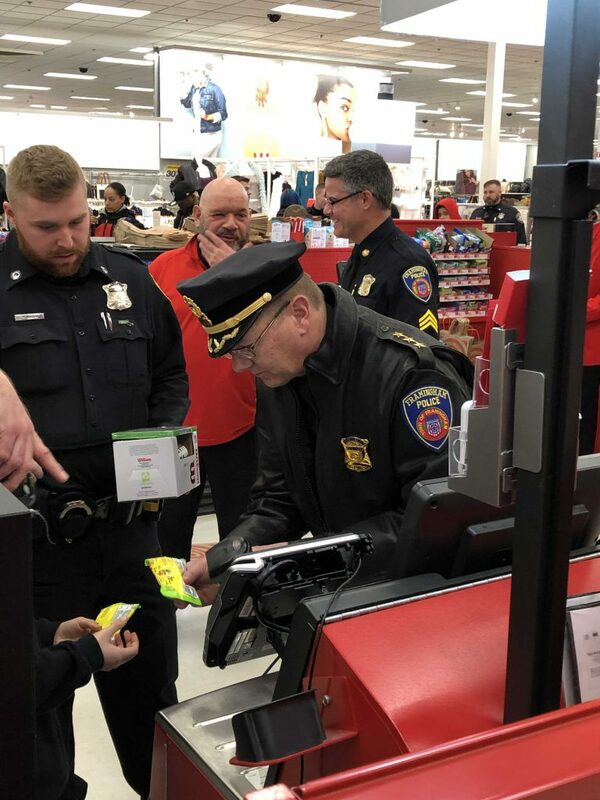 Each officer/child pair was given $50 to shop. 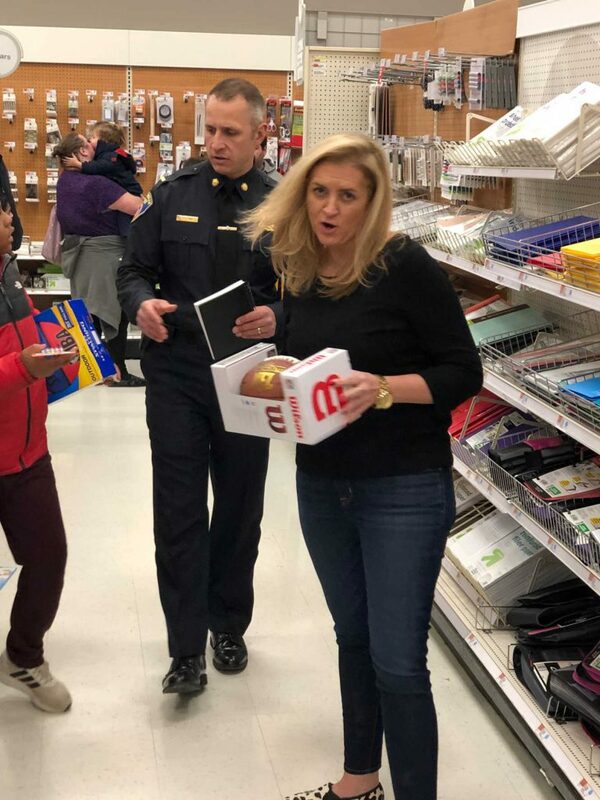 Children were chosen based on financial need or if a parent was deployed with the military, said organizers. 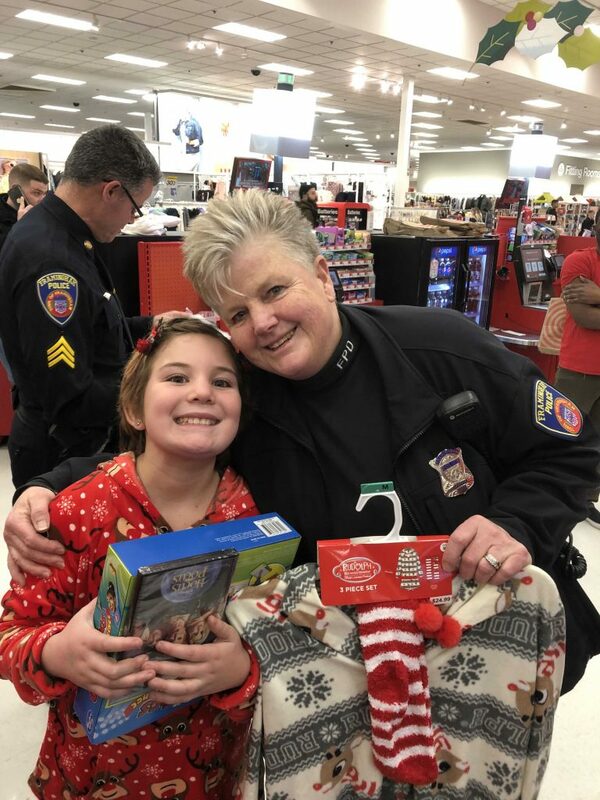 Police officers shopped with 248 children last night. 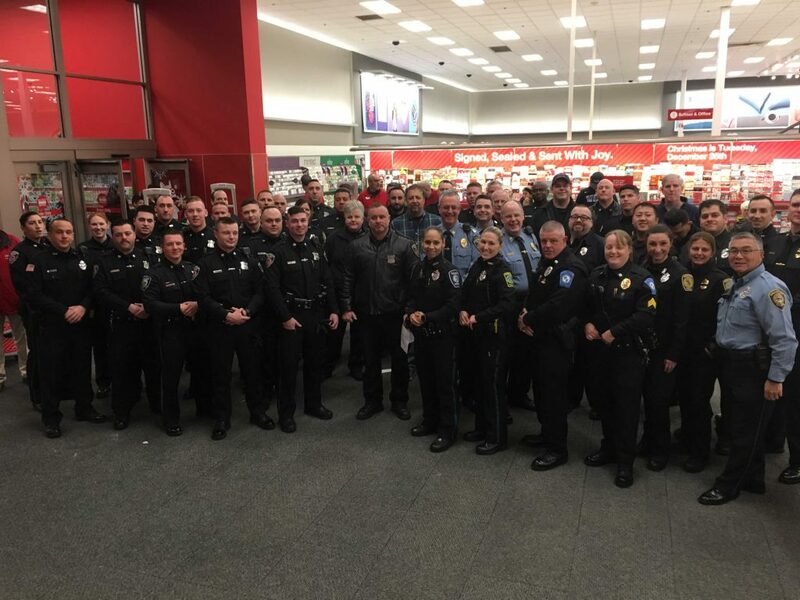 Target donated $4,000 to the program, said Framingham Police. 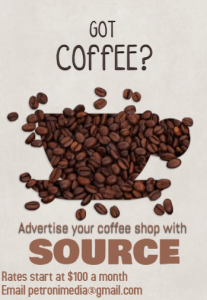 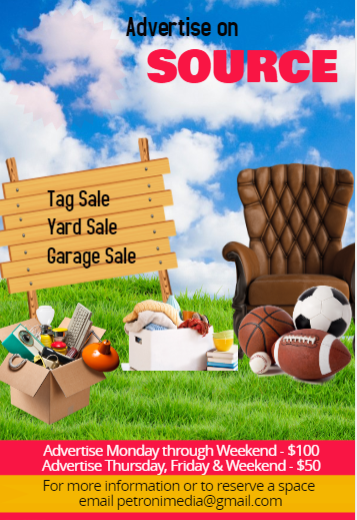 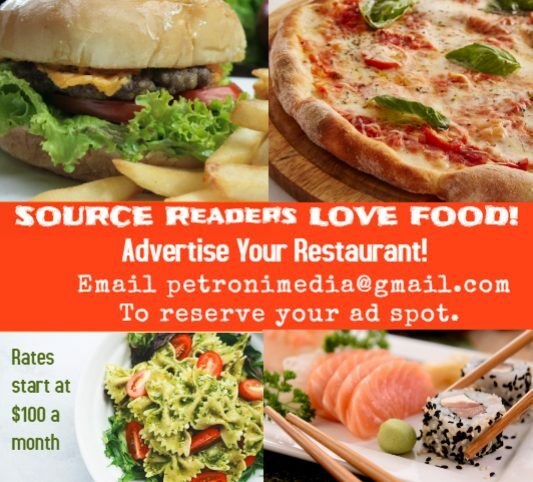 Other sponsors were Chick-Fil-A, District 4 City Councilor Michael Cannon, and Reges Corporation. 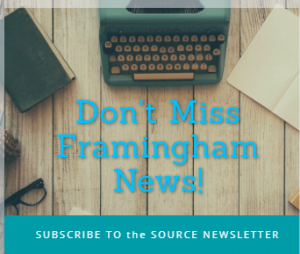 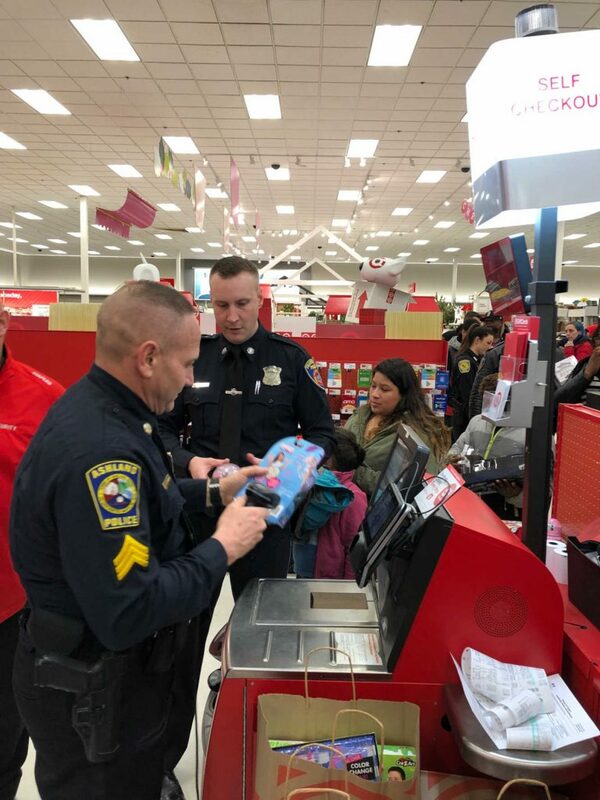 Shopping was in 2-hour windows last night between 5 and 9 p.m.
Framingham Police Chief Steven Trask manned the register ringing up shopping for a couple of hours last night. 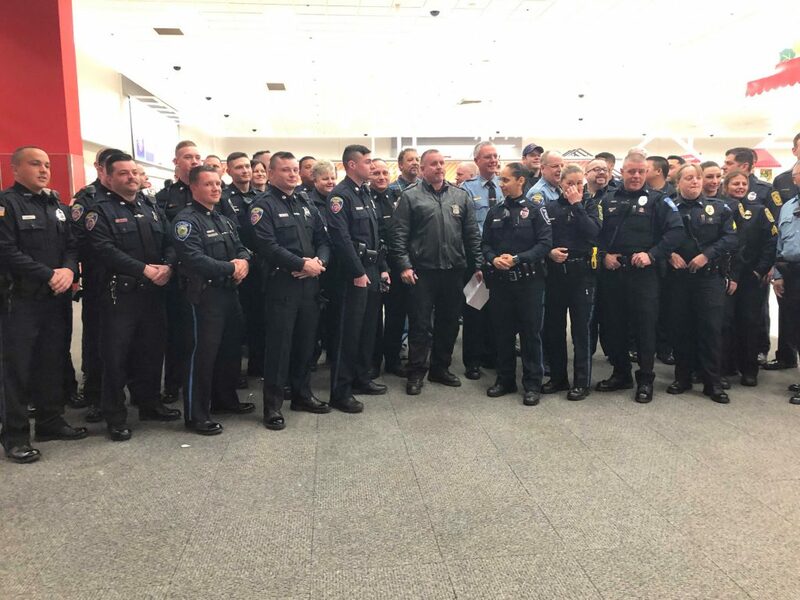 Natick and Ashland Police also participated in the program last night. 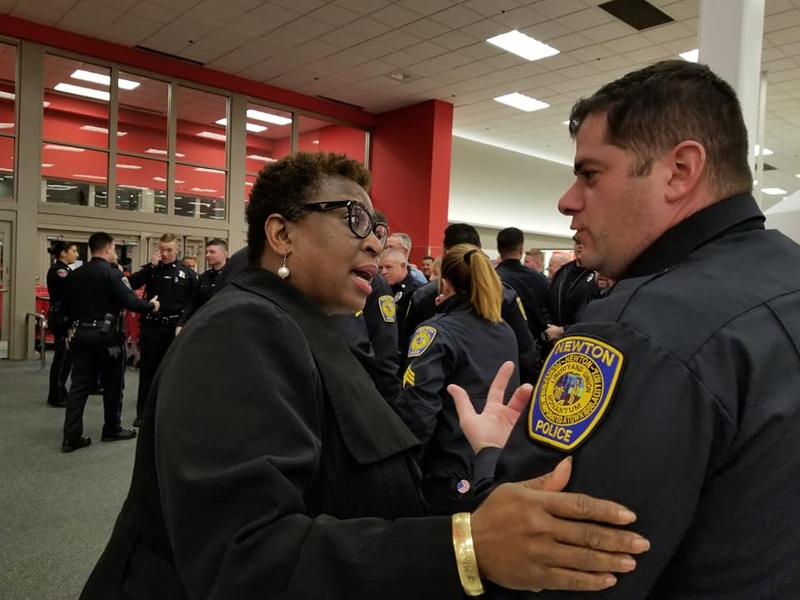 Framingham Mayor Yvonne Spicer stopped by for a few moments before going to the Framingham School Committee meeting.